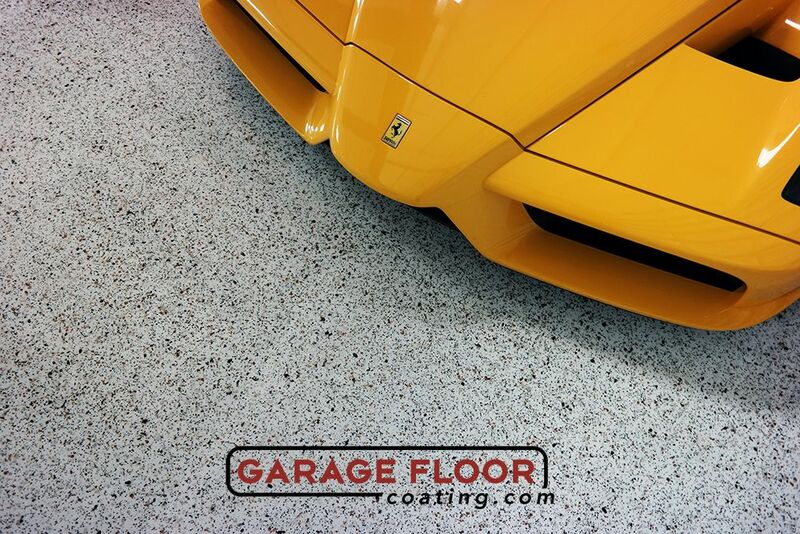 Garage Floor Coating provides the highest quality industrial grade concrete coatings available on the market today. 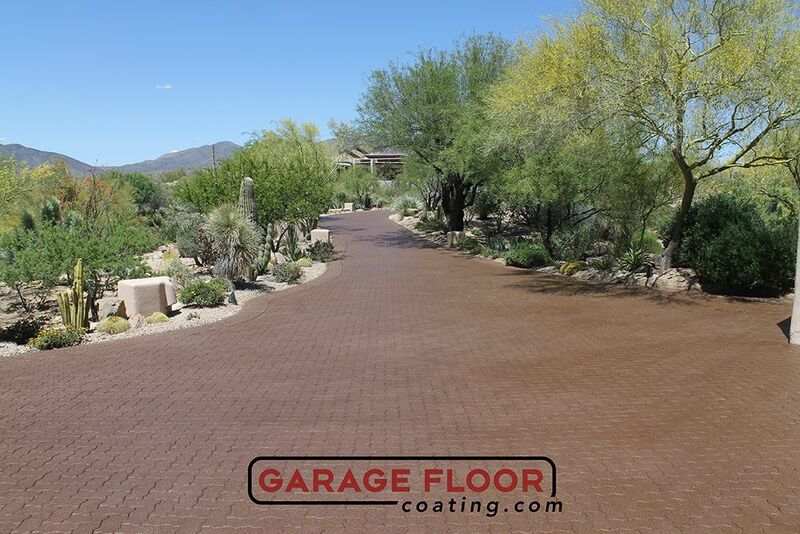 We beautify all types of concrete including garages, patios, walkways, driveways, hangars and warehouses. Founder/President Robert Hanson is EPA Firm Certified; AHERA Asbestos Building Certified; Certified and Licensed in Specialty and Industrial Protective Coatings; Certified and Licensed in Commercial and Residential Concrete. 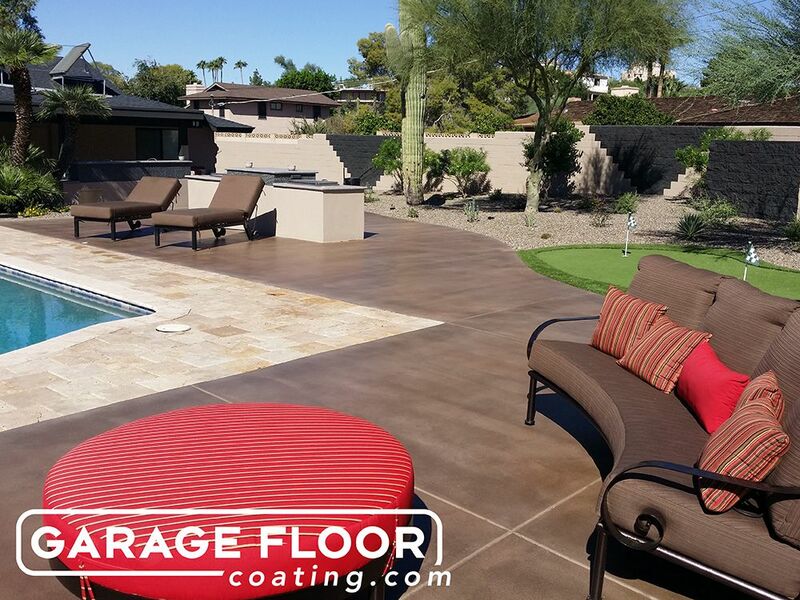 GarageFloorCoating.com dba Eco-CorFlex is Licensed with the Arizona Registrar of Contractors for Commercial and Residential Concrete (License Numbers 282088 & 274691); SSPC (The Society for Protective Coatings) Firm Certified; and since April 2013 an ISO 9001:2008 Firm Certified Organization! 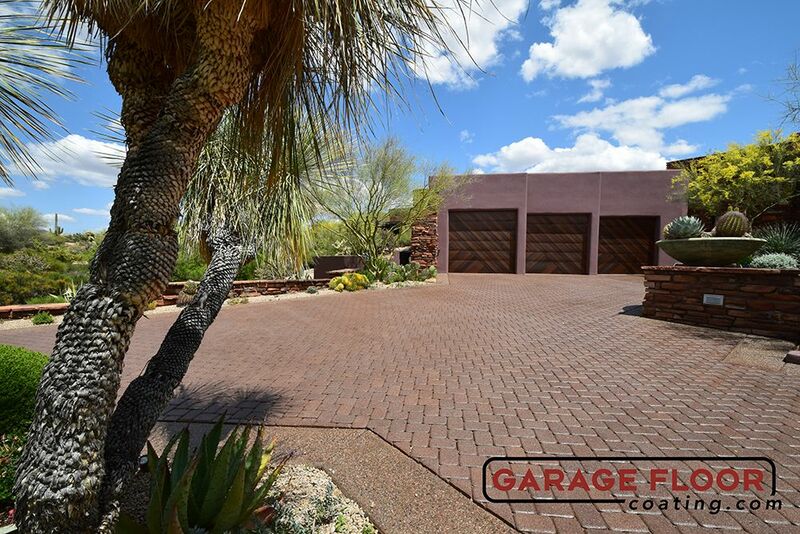 Phoenix,	Mesa,	Glendale,	Scottsdale,	Chandler,	Tempe,	Peoria,	Gilbert,	Sun City,	Avondale	and other cities within 75 miles of Phoenix.,	Surprise,	Sun City West,	Cave Creek,	Buckeye and Fountain Hills	. A warranty that comes with great customer service! Cruise America, City of Scottsdale, Carefree Town Hall, Phoenix Hilton Airport Hotel, Manship Builders, Haydon Building Corp, Luxe Builders, Wyatt Builders, US West Builders, La Casa Builders, Salcito Builders, Superstition Honda, Padilla Signature Builders, Dove Valley Ranch Community, Skyranch Carefree Airpark, American Eagle Custom Homes. Within every online community we hold a 5 star rating with detailed testimonials from our customers. Be wary of unlicensed companies. Size of the area you are looking to have coated. In a year we average about 500 jobs. GarageFloorCoating.com has been rated with 5 out of 5 stars based on 16 customer reviews. Fixr has reviewed the content provided by GarageFloorCoating.com to match our community guidelines. GarageFloorCoating.com has been rated with 242 experience points based on Fixr's rating system. Fixr has validated the email provided by GarageFloorCoating.com. GFC earned this rating. Andrew communicated the estimate process flawlessly and was on site when promised. The torch was passed to Monica to communicate the billing and when the crew would do the work. She delivered on everything that they said they would do in a professional manner. The work was done when promised and my garage floor looks awesome. I'd recommend GFC to everyone. I rarely give 5 star ratings, but there isn't anything that could have been done better. 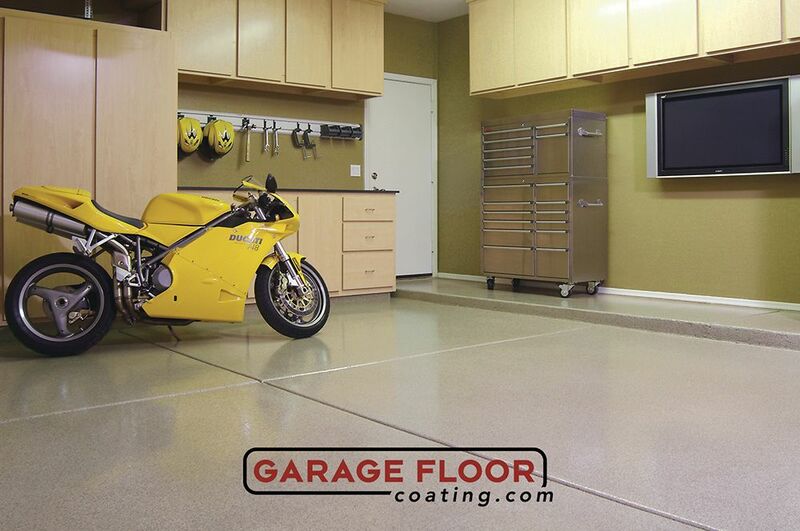 Garage Floor Coatings was the only company to use a moisture meter on my floor when giving me the proposal. They were on time, on schedule and communication was excellent - thanks Monica! You will not regret using GFC! Very professional service! The 3 day process was done beautifully, without hassle. We love the clean, neat look. 5 star rating from us! Thank you! 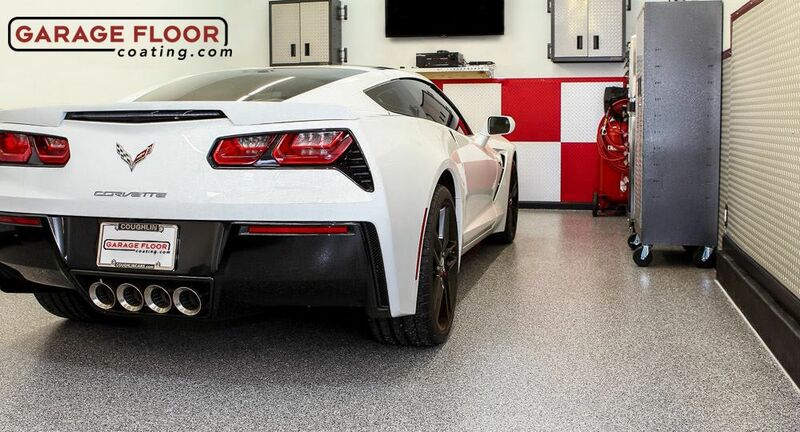 I give garage Floor Coatings a 5 Star rating +. From estimate to finish everything went perfect. The men that did the floors were experienced, courteous and neat. My garage floors look great, everyone that sees the floors ask for the the company name. I highly recommend them for your project. JP from Scottsdale AZ. 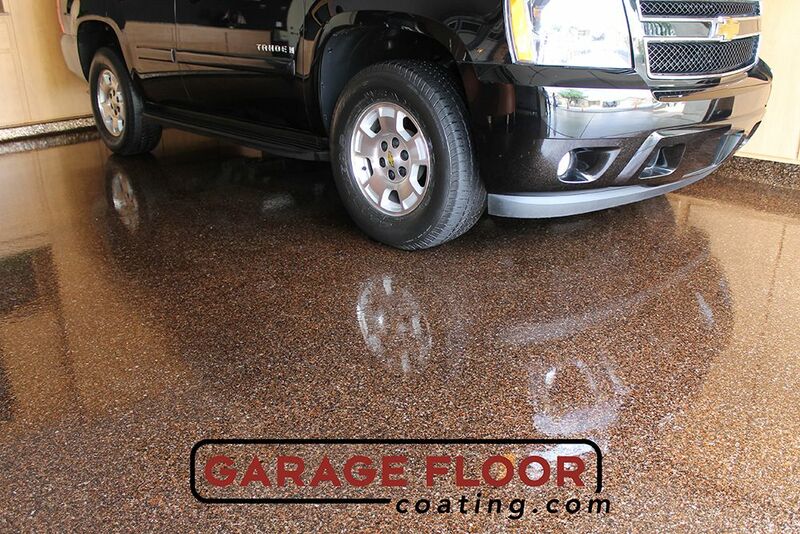 Garage Floor Coatings exceeded my expectations. From beginning to end ( the process takes 3 days) everything was done exactly as they said it would be done. Mine was a brand new garage floor, but now my garage looks as good as the rest of my home. 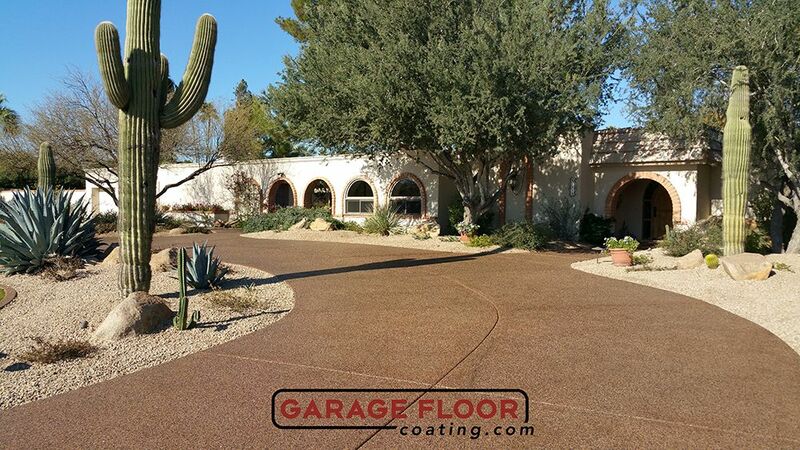 The process of using Garage Floor Coating to coat our back patio and front porch was very seamless from the timely quote as well as the application that met our time schedule. The job was done promptly and efficiently. I would definitely recommend this company. Garage Floor coating was great. They were professional, on time, called when they were coming, answered questions, I would recommend them. Great Experience. Crew was clean and efficient. Floor looks amazing! Highly recommend! Amazing company! Very professional from the initial meeting to get an estimate to the final installation. I was contacted daily so I would know when the installers would be here and what would be accomplished that day. At the end I was notified by email and phone call as to care instructions. I have a beautiful new patio covering!! I am very pleased with this product and company. I would recommend to anyone looking into having their garage floor or patio area re-covered. Excellent Job! Love the product and the price was good for what we received. I highly recommend this company to do your garage floor. We have been very pleased with the results and were impressed with the quality of work and professionalism of the men doing the work. 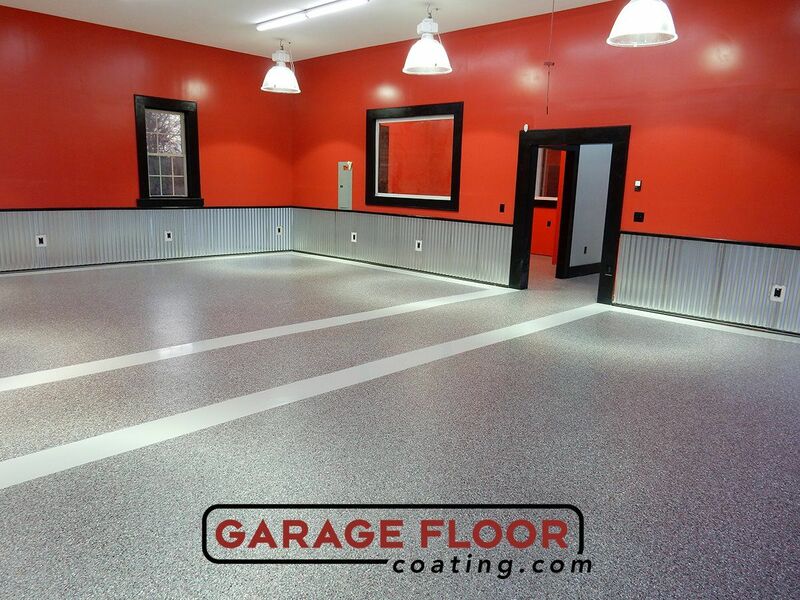 Garage Floor Coatings did a great job. Everyone showed up on time and phone calls were always returned quickly. Will definitely recommend this company to others. A company that cares, I highly recommend Garage Floor Coating. I had this same company twelve years ago. Would not have called anyone else. Just finished my new driveway. Great company. Great job. Would also like to compliment Monica from the office that always keeps the customer well informed of the time of the crews arrival. Look the product. Excellent look. Great service. 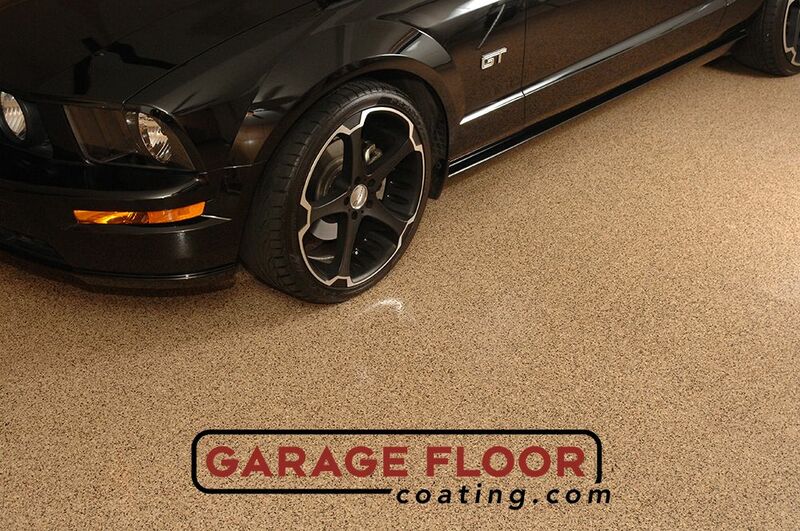 I highly recommend Garage Floor Coatings. I deal with a lot of suppliers and vendors at work and also in my personal life. I don't often experience the level of professionalism and support that I received from GFC so it's been a nice change of pace. I have and will continue to recommend them. Thanks again for your support. Love, love, love my new garage floor! Our floor had been etched from a water softener overflow and I didn't know if it could ever be fixed but it looks beautiful now. 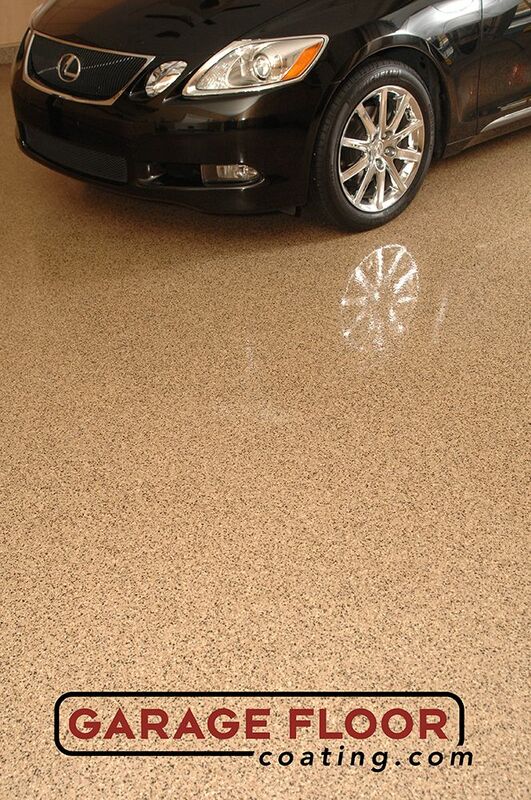 Our 3-car garage took three days to grind, seal, apply epoxy and reseal. We are very happy with our experience with garagefloorcoating.com and I've already recommended them to some of my customers. We were very happy with the entire experience from the salesperson who came to our house, the gal in the office and the guys who did the work. Great company! Very well run company. Have recommended them to other people. Kept us well informed all the time and workers very professional. 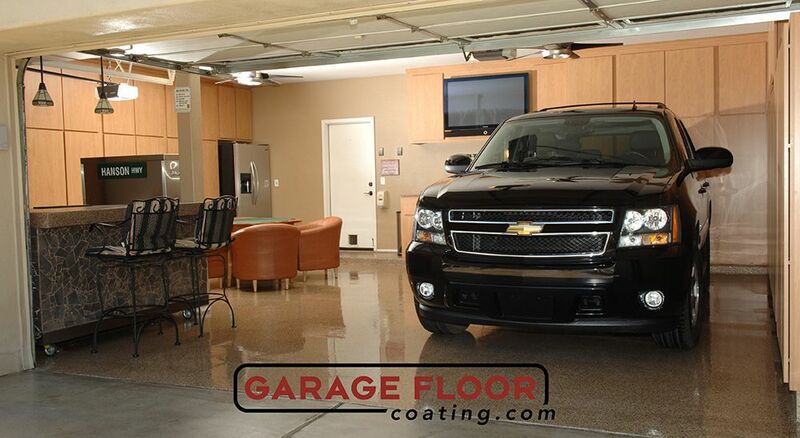 Great experience with Garage Floor Coating. Our driveway looks new and we get favorable comments from all that see it. The work performed was timely and very professional. As a result we have contracted to coat our entire very large back patio and we look forward to the results. I highly recommend GarageFloorCoatings. These days it's hard to find a company professional with a top notch product & that shows up on time. The communication with me over the three days of floor installation, not only by the crew onsite to understand the process but a call before from the office to let me know when the crew would be arriving (along with what they would be doing). I own two business's myself and would aspire to meet their level customer service. 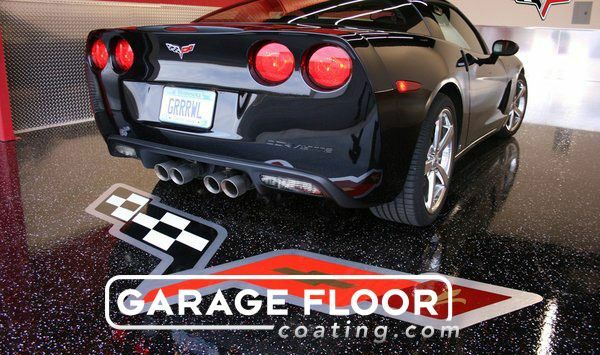 We have never had a more satisfying, professional, thorough and courteous service as we received from Garage Floor Coating. From start to finish and in-between we were informed of the process. I would not hesitate to refer this company. My basement floor went from something I was slightly embarrassed to show friends to the highlight of my condo. I had a metallic coating added to my floors and they look fantastic. The service I received from GarageFloorCoatings.com was both friendly and professional and I would highly recommend their products and services. I received SUPERB service from GarageFloorCoating.com! I shopped two other companies and none of them were as prepared as John was. He did a great job on the sales presentation and was extremely knowledgeable about the product. I was also impressed with Jen, who promptly updated me with the expected schedule once the process began. The installers did exactly as I was told and the job was completed as expected. I would highly recommend them! 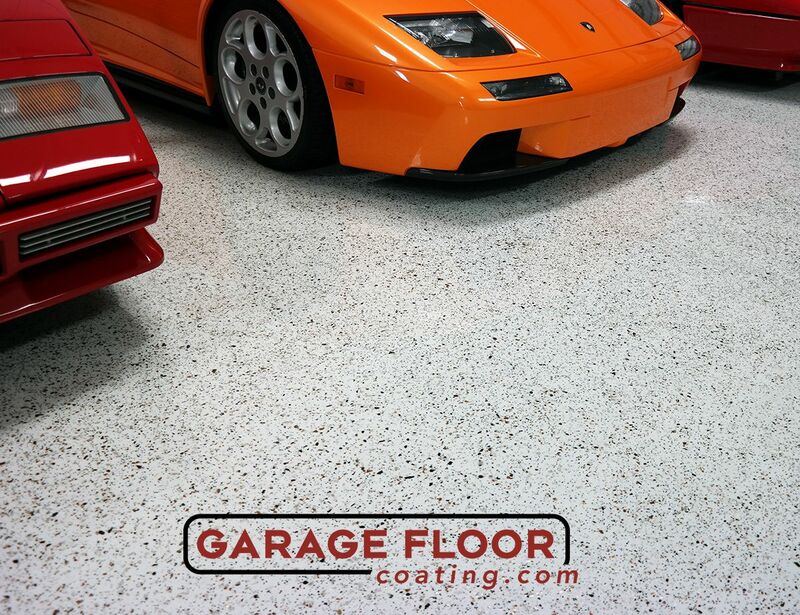 I had a great experience with Garage Floor Coating.com! My patio looks so good now and I love to have company over. The crew arrived when they said they would and were very friendly and hard working. I have recommend your company to my friends and family and will continue to do so.